Diana is an experienced Sports Physician who also works in a Specialist Sports Medicine practice in the Sydney CBD. 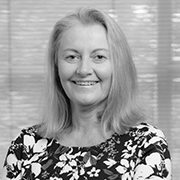 Diana has an interest in endurance athletes, having been the Medical Director of Triathlon Australia from 1993-2002, and has represented Australian on the International Triathlon Union Doping and Medical commissions. She has been team doctor at the Commonwealth Games and was the Medical Director for Triathlon at the Sydney Olympic Games. Her expertise extends to managing issues specific to the female athlete, including eating-related issues, menstrual dysfunction, PCOS and exercise during pregnancy, in addition to the management of obesity with exercise prescription, Insulin Resistance, Exercise Induced Asthma, cardiovascular issues and “the tired athlete”. She enjoys seeing patients with musculoskeletal injuries involving the upper and lower limbs and back pain. Diana has developed an expertise in the management of Osteoarthritis, particularly with respect to biological treatment, including cell therapies. Diana has also worked with major rugby league, rugby union and A-League teams, International tennis and National Surf Lifesaving events, elite hockey and and professional ballet. She was the doctor for 5 seasons of “So You Think You Can Dance”. She is a member of the Anti-Doping rule violation Panel, an Australian Government independent organization that reviews all positive drug tests. Diana has a deep interest in medical education, co-writing the current Australasian College of Sport and Exercise Physicians Training Curriculum, is the Chief Project Manager for the Specialist Training Program Educational Projects, developing online and face to face education resources and an examiner for ACSEP Fellowship Exams. In 2016 she was appointed Associate Editor of the British Journal of Sports Medicine and the BMJ Open Sport and Exercise Medicine. In 2016, she was awarded a Citation for Distinguished Service by the ACSEP, the first female awardee.